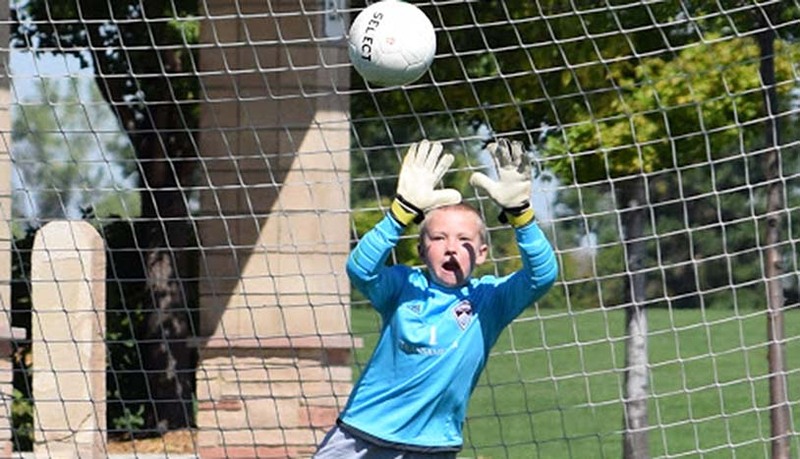 The primary way most goalkeepers seem to be judged - from the highest levels of the professional game, right down to grassroots youth games in the park - is by some arbitrary equation which takes into account only two things: terrible mistakes, and brilliant saves. These two lie at opposite ends of the goalkeeping spectrum, but comprise only a tiny percentage of what a goalkeeper actually does in a match. And what is that? Mostly, it's receiving and clearing back passes, playing short passes to defenders, taking goal kicks, making simple catches or other comfortable saves, and moving backward and forward between the goal line and a spot somewhere outside the box. During all this, there is communication and positional adjustments, organizing at set pieces, a cross or two or three to contend with, and (depending on the quality of the respective teams) a number of 'emergency' interventions, such as 1v1s or explosive saves. There are also goals conceded, I'm afraid. We wouldn't have much of a sport if this never happened. So while it's perhaps unfair that most keepers are judged on a tiny fraction of their actions, it's understandable, because terrible mistakes and amazing saves stick in the memory of those watching. It's the same reason all-action, rampaging midfielders who spray fifty-yard diagonal balls and shoot powerfully from distance are often valued higher than crafty midfielders who find unexpected angled passes, always take their first touch away from pressure, and just generally keep the ball with their team and keep the game ticking over. All that stuff, while important, is difficult to notice. Nobody ever said the goalkeeper's lot was fair. Yet the problem with the mistake/brilliant save dichotomy is that it ignores a much greater indicator of a goalkeeper's potential success: limitations. Let's quickly define, in admittedly simplistic terms: a mistake is a situation a goalkeeper flubs, either technically (ball fumbled across the line, etc) or tactically (ill-advised charge out of the box, etc). A limitation, on the other hand, is something a goalkeeper simply does not possess the ability to do. Some goalkeepers can't clear the halfway line with a goal kick. Some can't turn high shots over the bar. Some can't consistently handle shots safely. Some can't dive with explosive power. You get the idea. The obvious difference between mistakes and limitations is that a goalkeeper with a limitation will be exposed every time the situation is encountered - this is a situation the keeper simply cannot handle - whereas mistakes can occur randomly, even in aspect of the game the goalkeeper might normally excel. If we accept that mistakes happen to literally every goalkeeper - just visit YouTube for five minutes if you don't believe me - then we understand that mistakes become an unacceptable problem only if a goalkeeper makes them too frequently, or if they keep making the same mistake. I don't care how technically 'perfect' a goalkeeper is; momentary lapses in concentration or misjudgment are going to happen, even to the very best. 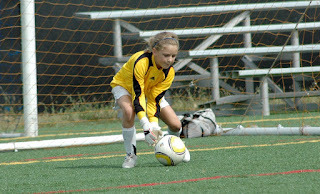 Limitations, on the other hand, have to be viewed in context of the individual goalkeeper's development. Youth and academy goalkeepers are going to have limitations. Until they've reached physical maturity, there are always going to be shots or crosses they haven't a prayer of getting a hand to, and their distribution range will also be restricted. At the highest levels, naturally, we don't see a lot of limitations. The competition of the professional game dictates that if a goalkeeper finds it beyond their abilities to safely handle shots and crosses, and occasionally make acrobatic, explosive saves, they will stop progressing up the pyramid. And yet, the top professional goalkeepers don't all have the same diving range, or first touch, or vertical leap. Most of the are limited, if only fractionally in some way. They key is they know how to compete and succeed despite this. At the developmental stage, we as coaches should be at least as concerned with limitations as with mistakes. 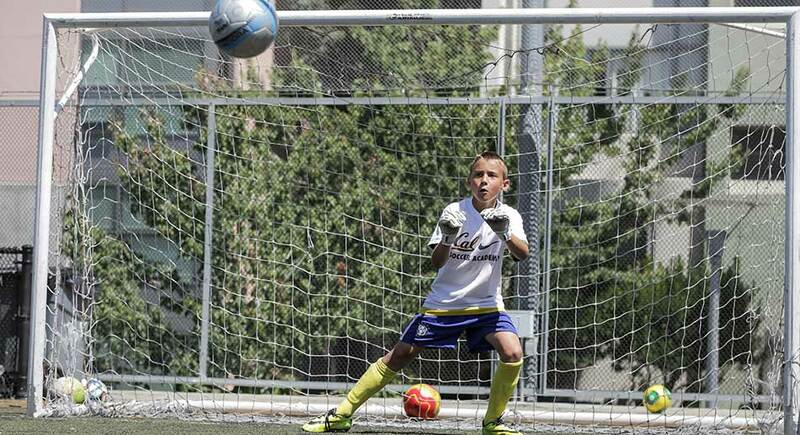 I would suggest that if a youth goalkeeper is making too many mistakes (How many is too many? That's for another day), it's likely that poor technique is the cause; in which case, the goalkeeper hasn't been properly coached, or is resistant to coaching, or is aflicted with excessive nerves. Following a mistake, we should rightly ask, "Why did this goalkeeper made this specific mistake?" But we should regularly be asking, "What is preventing this goalkeeper from getting to that specific shot, or being able to drive a ball accurately over short distances, or jumping higher than opponents?" 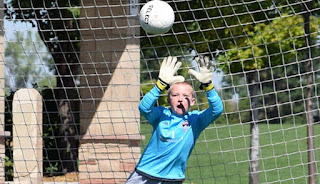 The good news is that it's not difficult to recognize a goalkeeper's limitations. A few dozen shots and crosses from a variety of angles and distances will tell you most of what you need to know about their agility, footwork, handling, technique, explosiveness, and general athleticism. Then, it's a matter or prioritizing areas to be improved, and coming up with a training plan for that improvement. Watching young goalkeepers in competitive matches is also crucial. There, we see how they practically apply their skills, how they read the game, communicate, distribute, and all the other facets of goalkeeping. One of the frustrations of coaching goalkeepers at the youth and academy level is outfield coaches who are inordinately concerned with results, and make short-term decisions in service of this. Having the biggest and strongest player take goal kicks, for example, relieves the short-term burden from a young goalkeeper who may lack strength, but also robs the keeper of the both the opportunity and the incentive to improve their technique. I once had a coach tell me he instructs his goalkeepers to just push or punch away every shot, rather than "risking" a catch, because "that way they don't end up dropping it right in front of goal." Okay, great. 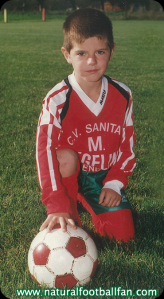 That kid has no chance to ever be a decent goalkeeper. In the end, what we hope is that the limitations all young goalkeepers have decrease as they train, refine their technique, add strength and athleticism, and finally, experience. During this process, it's important to monitor progress and take note of areas that may be lagging, and tailor training session to help them catch up. Ultimately, we want goalkeepers who are prepared to deal with every situation the game may throw at them, even as we accept that different goalkeepers will have different strengths and limitations.